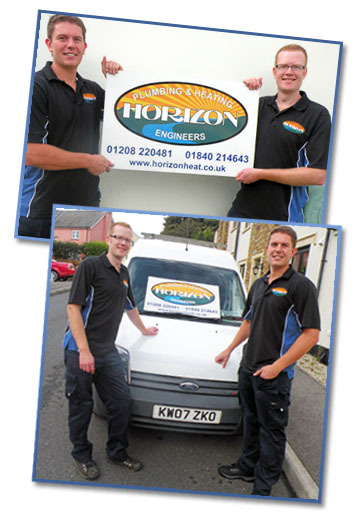 Horizon plumbing and Heating are based in Camelford and Wadebridge and cover roughly the following areas – Bodmin, Wadebridge, Bude, Lostwithiel, Lanivet, Camelford, Rock and Padstow, to name but a few of the larger towns. This includes all of North Cornwall. Please feel free to give us a ring to ascertain whether we cover your area. At Horizon Plumbing and Heating, we believe that renewable technologies are the primary way in which to help lower our greenhouse emissions, and importantly reduce our reliance on ever more costly imported fossil fuels. Should you be interested in either a whole new renewable energy installation or the integration of renewable energy sources into an existing heating/hot water system, please contact us for help and possibly a quotation. It can be very easy to accidentally neglect servicing gas and oil appliances. They tend to be forgotten about until they breakdown, and we are left without heat or hot water. The Gas Safe Register recommends that all gas appliances are serviced annually to ensure safe operation, and energy efficiency. At Horizon Plumbing and Heating we can service your appliances and remedy any faults which may occur.